I find January to be such a dark month, especially once the Christmas lights have been packed away. 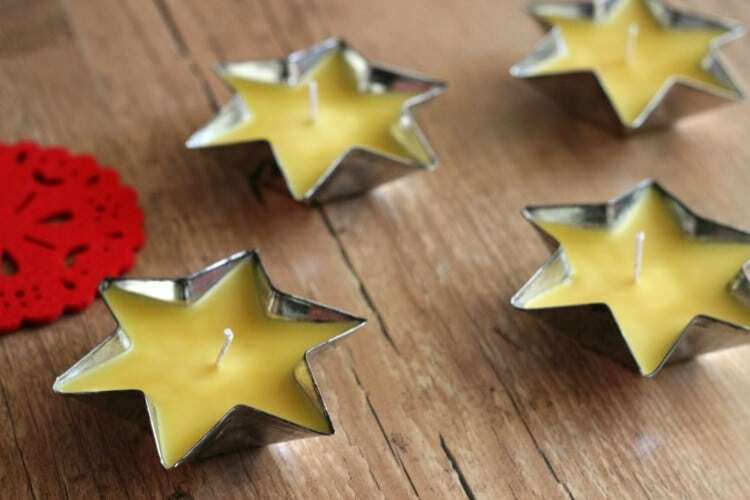 I think we need a bit of light and sparkle to get us through the month, so at the weekend I experimented with making my own beeswax tealight candles. It was so easy and successful (for a crafting novice like myself!) 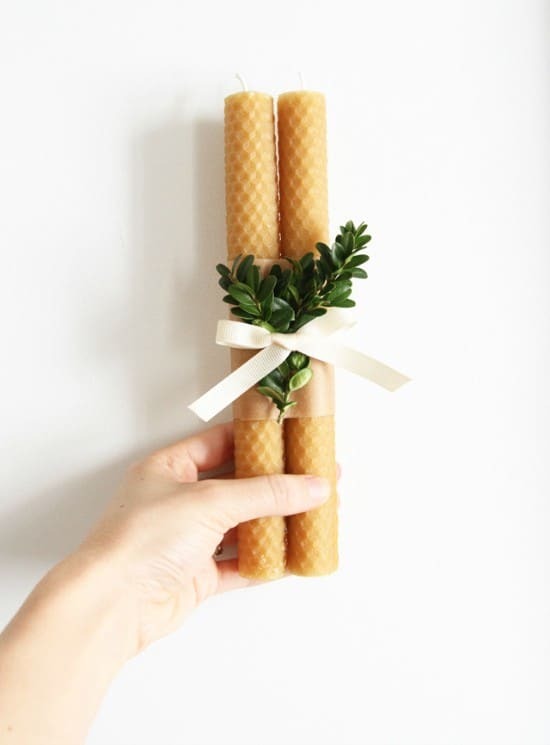 that I’ve put together an easy guide on how to make beeswax tealights for you, to brighten up your month too. I always assumed that making candles would be difficult or would require some specialist equipment or tools, but the good news is that you don’t! 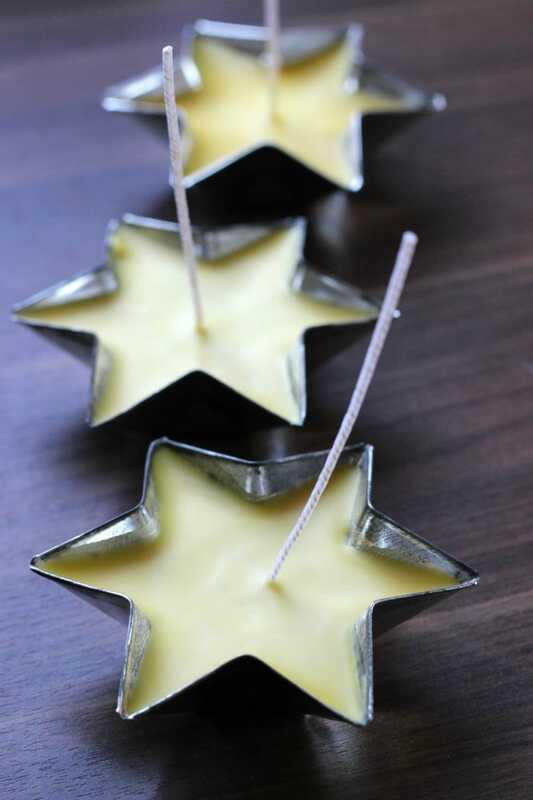 In fact, you can make these beautiful beeswax tealight candles in about twenty minutes flat in your own kitchen with nothing more than an old tin can and a saucepan of water! 4 metal or ceramic containers I used old pie tins found on eBay*. To gauge how many pellets you need per holder, simple fill your container with beeswax pellets. Pour these into the tin can, and then repeat, as I found that to get the right amount of wax you need double the amount of pellets that your container can hold. Put some newspaper down to protect your work surface. Put your tin can containing the pellets into a small saucepan of boiling water, and keep boiling. Just take care not to get any water into your can. Whilst the pellets are heating in the can, stir with a bamboo skewer to help the wax break down into liquid. It should take around 15-20 minutes to completely liquefy. 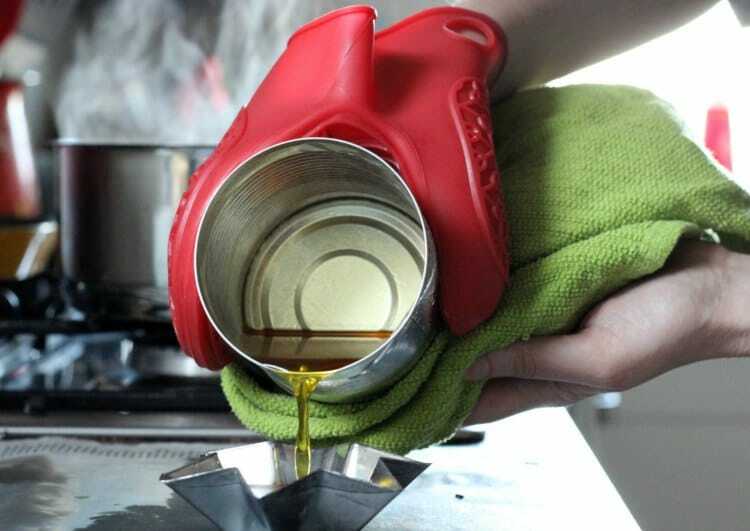 Once the wax has completely liquefied turn off the hob, and using an oven glove very very carefully lift the hot can out of the water, and slowly pour the wax into your container. Take extreme care with this as the wax will be very very hot. 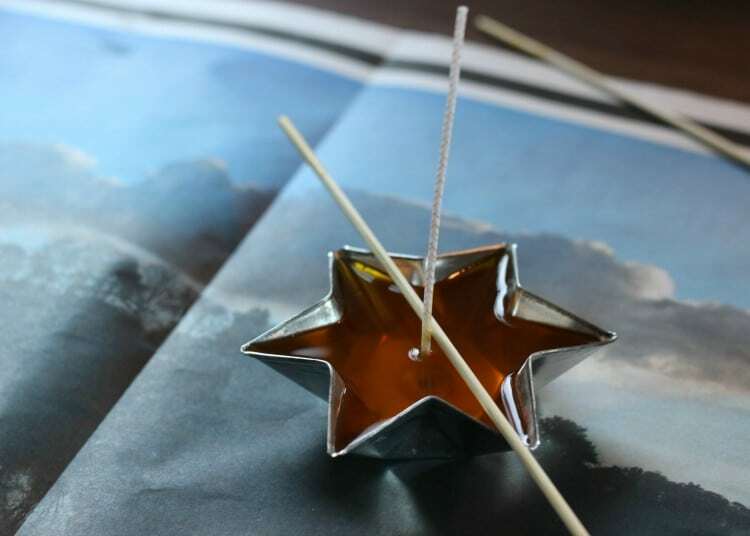 Add your wick – it may need supporting with a skewer until the wax starts to firm up again. 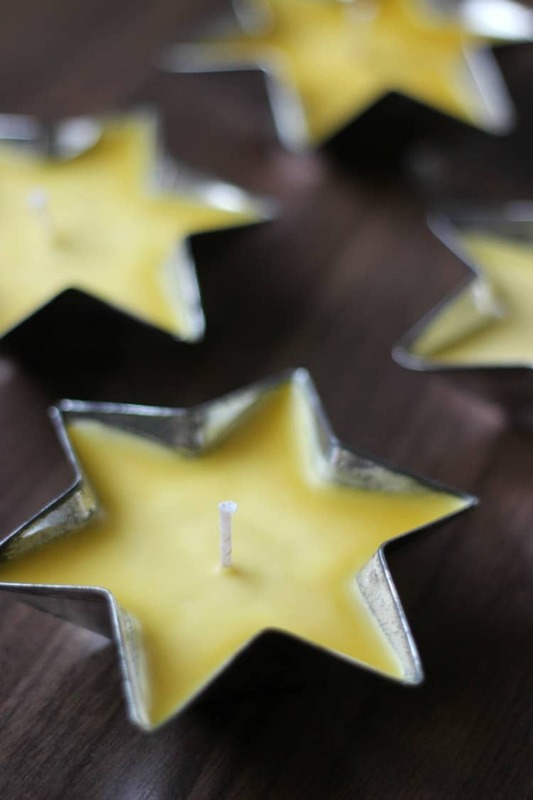 Once the candles have hardened trim your wick to no more than 1cm in height. Burn as you would any other candle. As with any candles always burn on a heat resistant surface, and never leave a burning candle unattended. You can use any metal or ceramic container that you like. I picked up these old metal pies tins on eBay last year and have been hoarding them until I could decide how best to use them, but I saw that Artemis of Junkaholique made candles in enamel mugs that looked really pretty too. 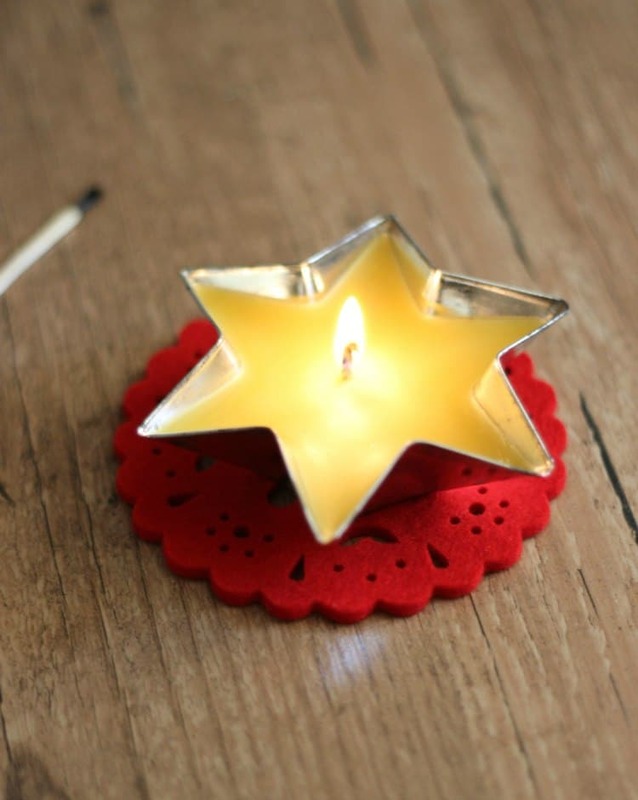 I’ve also seen candles made in teacups before, and you could even use tin cans! to the pellets as you’re melting them down. Lavender is one scent that immediately springs to mind that could be really nice! 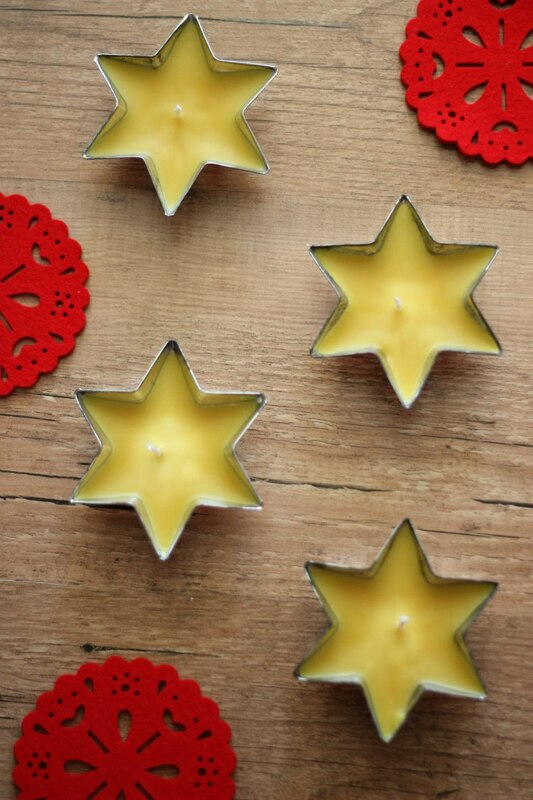 I think these beeswax tealight candles would make a lovely eco-friendly gift idea. 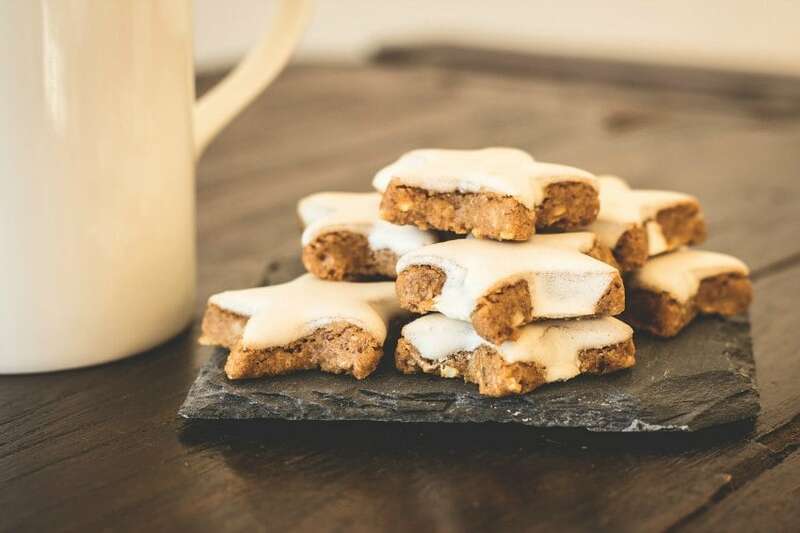 I kind of wish I had thought to make them before Christmas, but hey, it’s a good excuse to keep them all to myself! Here’s to a light and bright January! I know it’s really early (in my book anyway!) to be mentioning the ‘C’ word but if you can forgive me then I wanted to share some homemade Christmas gift ideas. Homemade Christmas gifts tend to require a bit more planning and a longer lead time so I thought it was best to get them out there nice and early for you! I’ve put together some of my favourite (and easy!) 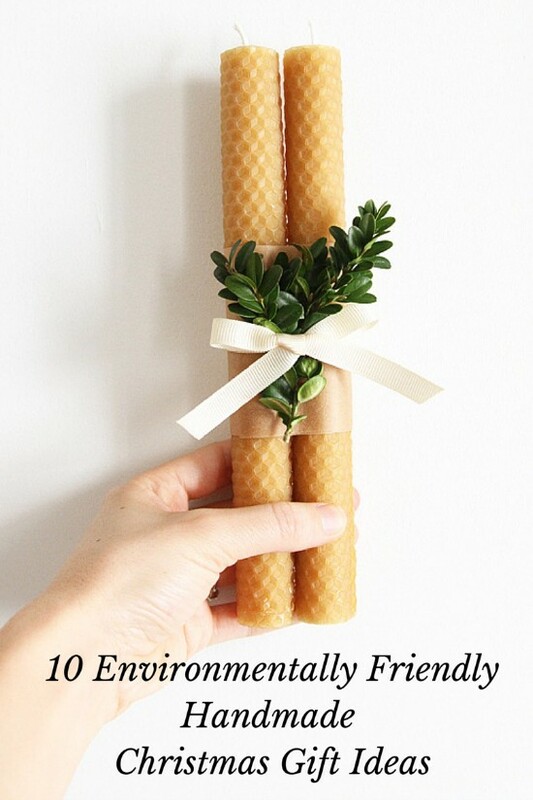 homemade Christmas gift ideas that are environmentally friendly. Just click on the links to be taken to the full DIYs. Hope you enjoy making them and sharing them with your loved ones! 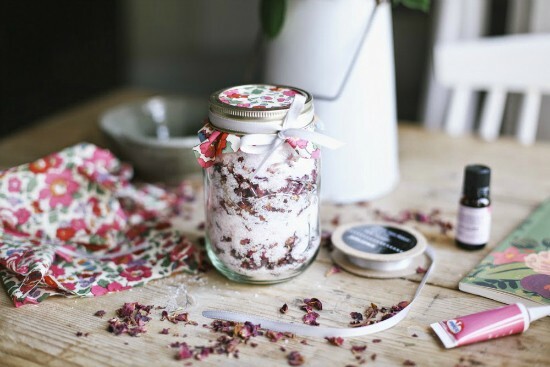 Cat from Take Courage has put together a very nice DIY on how to make some prettily packaged rose bath salts that would make a really nice homemade gift. 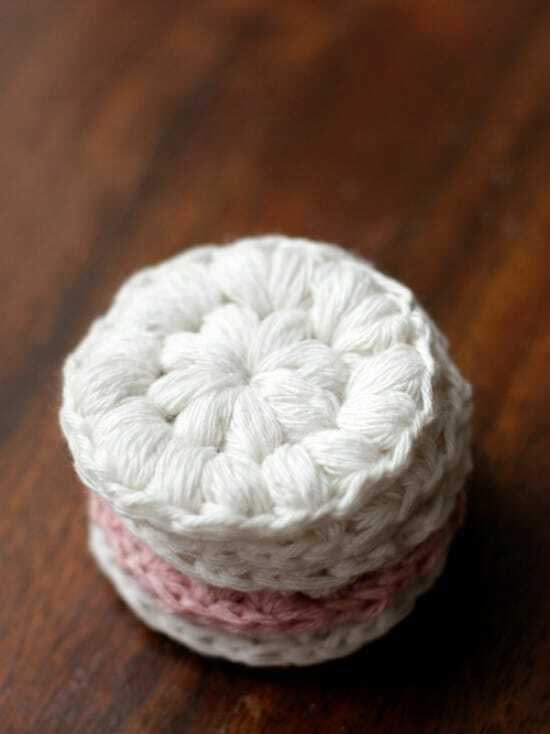 If you can crochet then these DIY cotton wool pads would make a really thoughtful eco-friendly gift idea. Package them in a hand sewn pouch or a glass jar for a pretty and practical Christmas gift. 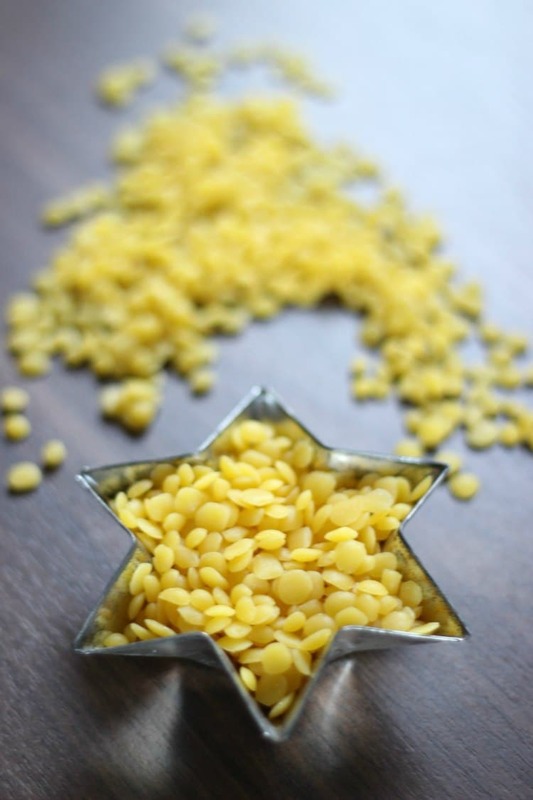 Erin from Reading My Tea Leaves has a great beeswax candle tutorial that would make perfect gifts with a light environmental footprint. 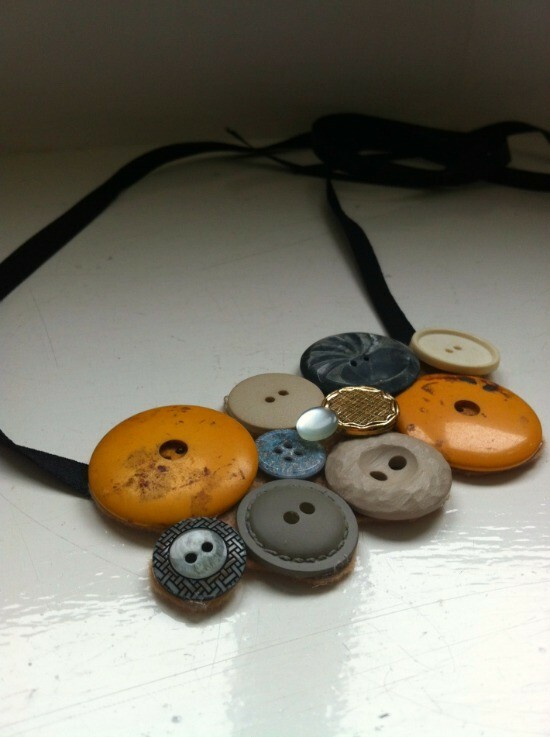 This DIY statement necklace tutorial uses up old buttons and felt scraps for a gorgeous and unique gift full of thought. It only takes about 15 minutes to make too, so ideal if you’re short on time! This recycled snow globe DIY takes all of one minute to make but is such a simple and striking gift that can be enjoyed for years to come. 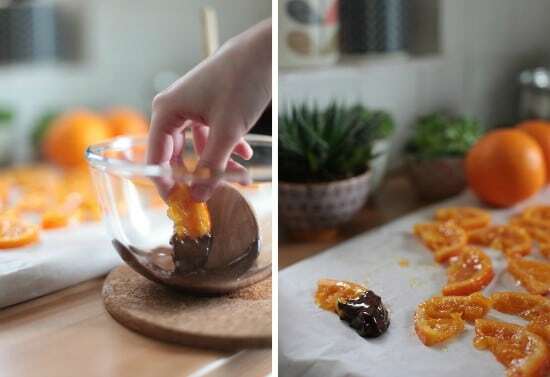 These candied chocolate orange slices, again by Cat of Take Courage, look and sound delicious! Presented in a little box they’d make a tasty homemade Christmas gift. 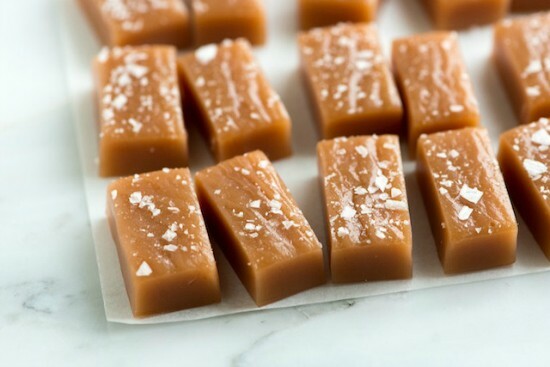 This salted caramel recipe from Inspired Taste looks perfect. 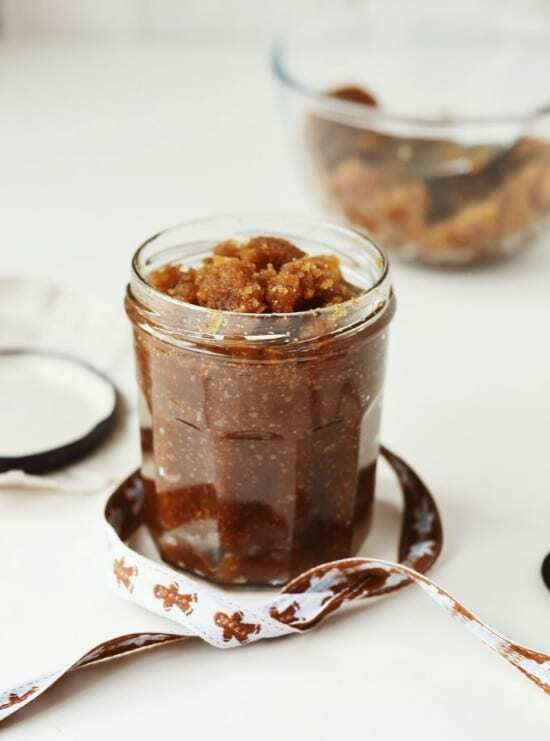 We can’t get enough of salted caramels in our house so this would be our ideal gift! 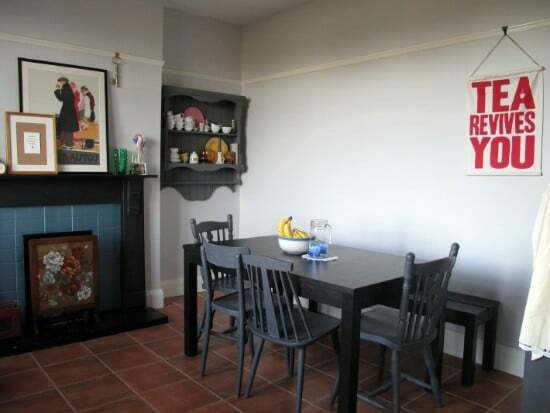 This stylish wall hanging DIY can be made using a tea towel or fabric scrap. Minimal sewing skills are required so even if you’re not handy with a sewing machine or needle and thread then I’m sure you could put this together and amaze your friends with your skills! 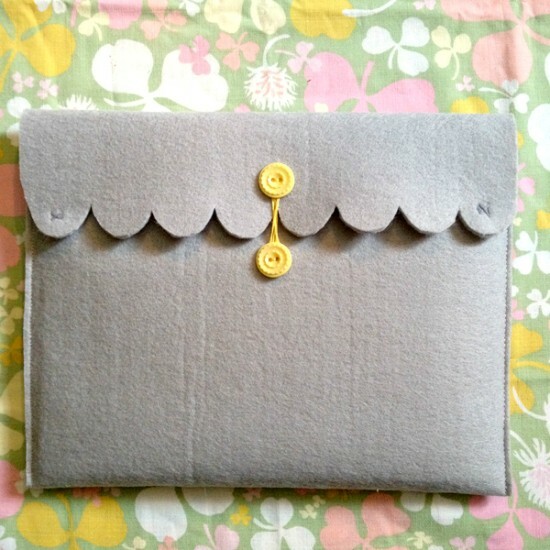 And for the last of my homemade Christmas gift ideas, this felt DIY iPad case would make such a thoughtful gift. It does require knowing your way around a sewing machine a tiny bit – if you can use a sewing machine to sew in a straight line then you should be ok! 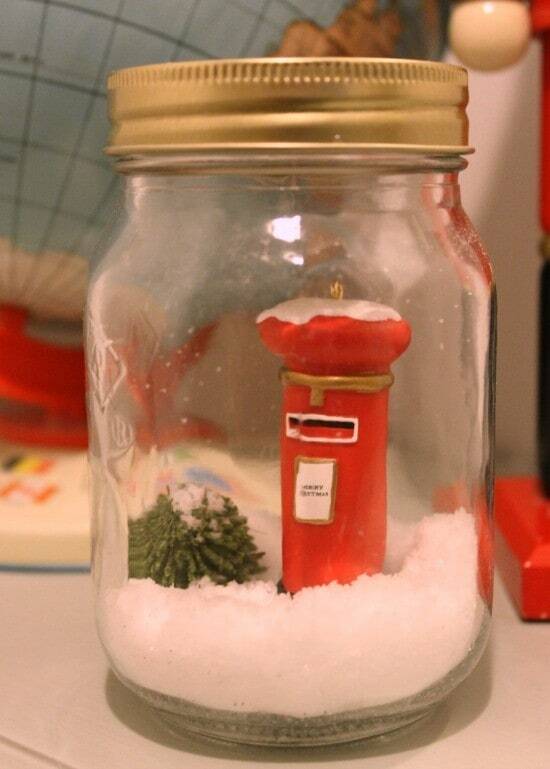 Any homemade Christmas gift ideas you want to share? Do add in the comments below so we can all check them out!